I’ve been sharing a lot of things to get you into fall this week. It’s been cool here the last few days and I’m enjoying a little break from the heat. One great way to transition from Summer to Fall is by going to more fall colors. This look is a perfect example of that. 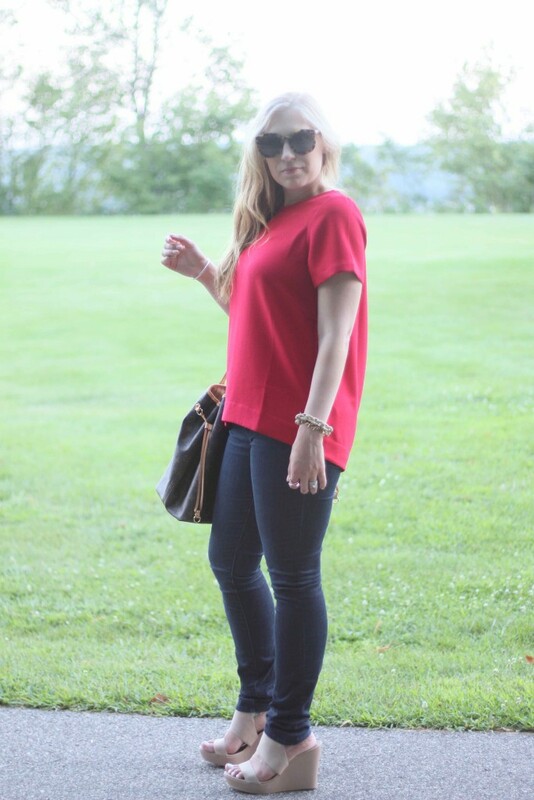 The Madewell shirt is the perfect shade of red. Here iis another great top in the same color, but at a lower price point. 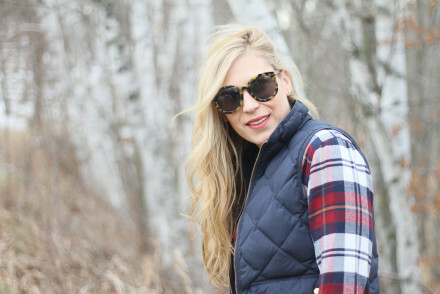 I am obsessing over plaid right now. I am especially loving this Rails shirt. 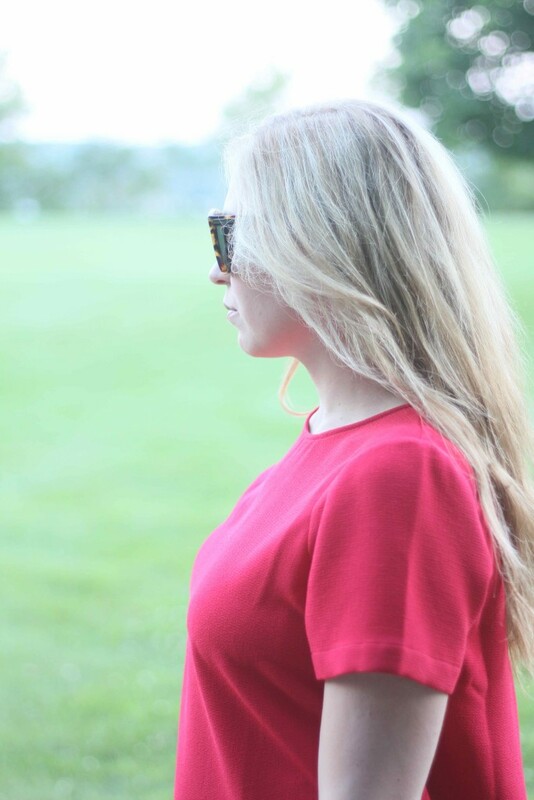 Here is a great post on Fall tops. That is the perfect red! I’m obsessed with those wedges too! A good solid tee is sometimes all an outfit needs. 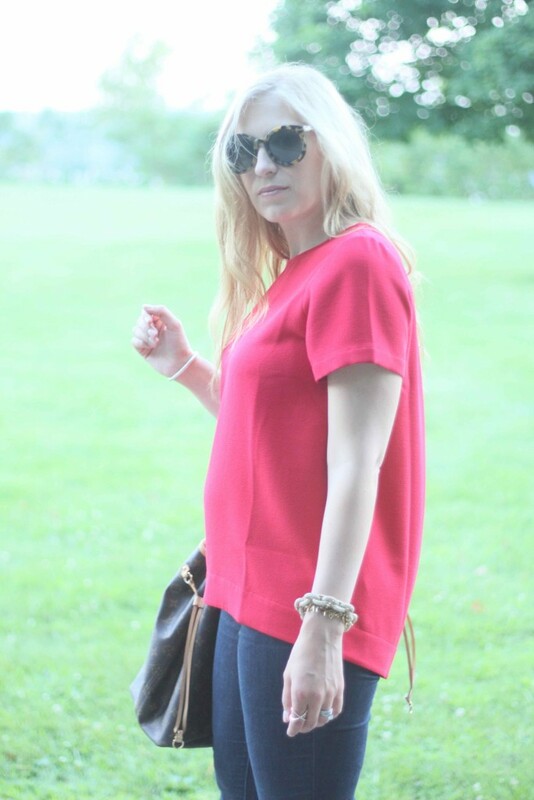 I love your red tee from Madewell! They make the best tees! Have a great weekend Lindsay! Love this bright color on you! Such a cute, casual look! 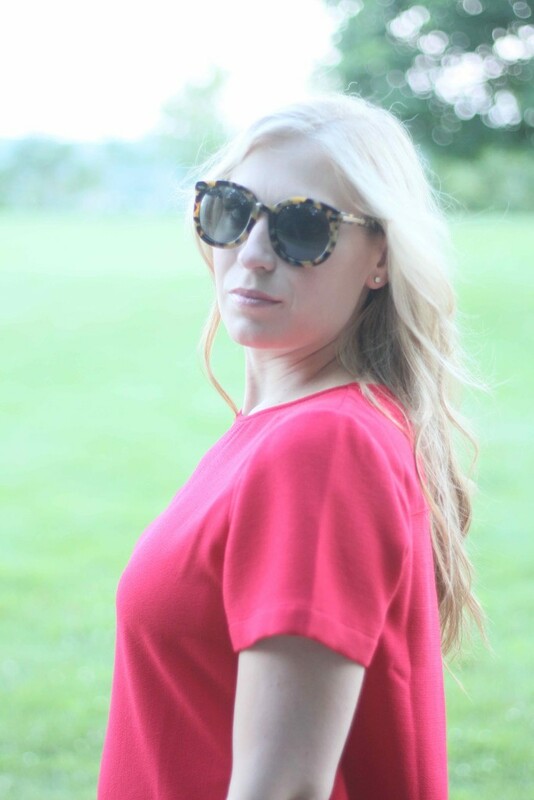 this red is perfect for Fall, love it. Definitely the perfect fall style! You look great in red! Aw I’m obsessed of your bracelets! Awesome pieces! 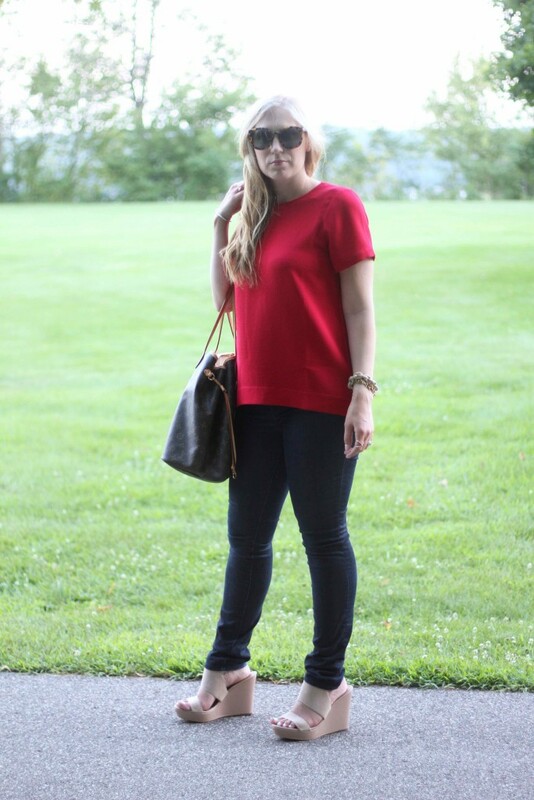 You look fab, perfect combo of red and denim! The shoes are on point! Have a nice start of the week gorgeous! What a chic combo, I’m obsessing over your wedges! 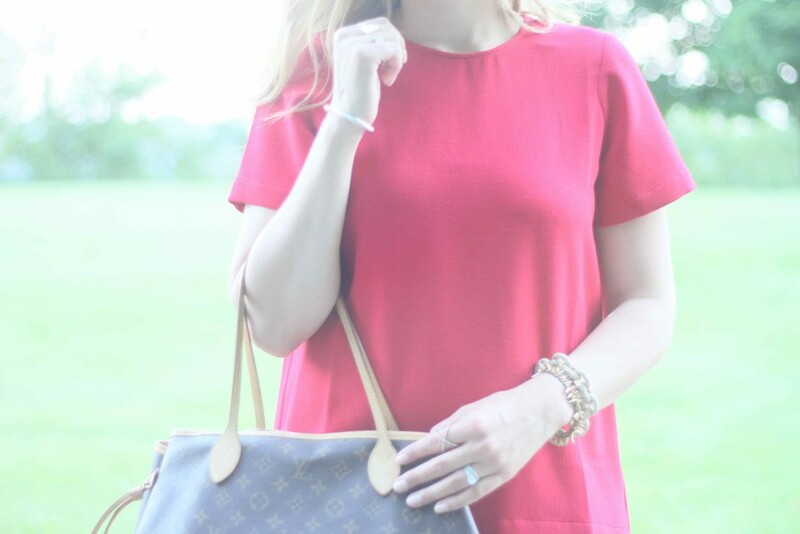 Love that top & the color!! My favorite! You look fabulous! Loving the red and black combo! I like red a lot. I think it is such a cheerful color. Makes any day a smile.